Harry Charles Weller was born in Puyallup, Washington on September 16, 1901. He graduated with a B.S. degree from Washington State University in 1923 and a Master of Architecture from Harvard University in 1928. While in school and during the summer, Weller gained practical experience working for a variety of architectural firms including: architect Rudolph Weaver (1923-24); the firm of Sutton, Whitney & Dugan (1924-25) and Hill, Mock & Morrison (1925) both in Tacoma; F.A. Narramore (1925-26), and John Maloney (1926) in Seattle; and for the noted Boston firm of Kilham, Hopkins & Greeley (1927-28). Weller was a key component of architectural education in Washington State for several generations of architects. 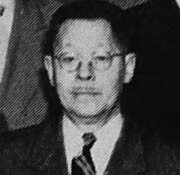 He joined the faculty of State College of Washington in 1928 and in 1949 he was promoted to full professorship. From 1955 until his retirement in 1966, he served as chairman of the Department of Architectural Engineering. Under his leadership the department grew from 57 students in 1955 to 275 students by 1966. Weller designed several buildings in and around pullman including his own home at 630 Illinois (1933) which was featured in Architectural Forum's The 1936 Book of Small Homes; the Howard and Cora Phelps House (1000 Monroe St.,1955); and a home at 1020 Monroe St. (1959). He was also a member of various organizations such as American Institute of Architects (AIA), National Educational Commission, Washington State Council Architects, Scarab, Tau Beta Pi, Sigma Tau, Phi Kappa Phi and Kiwanis. As an active member of AIA, he served as Chairman of the Membership Committee, Spokane Chapter, in 1941, Chairman of Library and Slides in 1957, and as chapter Vice President in 1940-41. During 1959-1962, he served a term as the Director of the Northwest Region of AIA. Weller was elected to the College of AIA Fellows in 1966. Weller passed away in Pullman on January 19, 1988. "Jury of 7 Selects House of the Year in Seattle" - Seattle Times: December 4, 1955. "38 Years at WSU: Architect to Retire Next Summer" - Spokane Daily Chronicle: May 4, 1966. Guide to Harry Charles Weller papers: 1940-1966 - WUS Special Collections. The 1936 Book of Small Homes - The Architectural Forum, NY. Simon & Schuster, Inc. 1936.